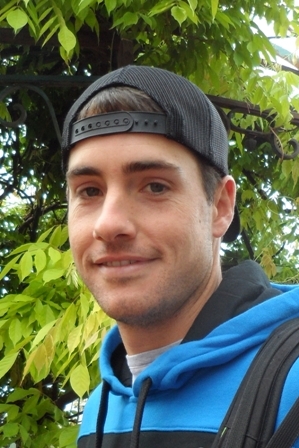 » April 1: John Isner’s heck of a day? The 2nd tallest player in the current ATP-field is one win away from his personal milestone in his career, which eludes every big title up to 250+ (except for Hopman Cup) in this trophy cabinet. To sum up his resume, he did not even play in a GS final, and he had to wait his 4th chance turning into a Masters champion until a couple of days shy to his 33rd birthday. However, he carved his own ‘business’ card in tennis history and not only with the magnitude of his ace-filled service game or with the memorable, seemed-never-ending record length clash versus Mahut in Wimbledon’10. We tend to forget some facts regarding his achievement, e.g. last year when he set a 79-year record in Newport becoming the only US player since Donald Budge who won at least 3 titles at the same tournament on grass on his home soil! Since 1938 there have been a few grass tournaments in the States as well as some all-time greats such as Smith, Connors, McEnroe, Sampras, Roddick, but none of them was able to succeed on grass 3 times at US Open (until 1974) or in Newport (the only grass tournament in the US). In addition to Isner’s career, the American also played another unforgettable match in 2011, when on a surface which should be contradictory to his playing style, he pushed the greatest clay player of all time (in Nadal’s peak!) to the limit and forced him a 5setter in Paris for the first time. In addition to all, we can observe an unique phenomenon that has escorted his entire career so far: the impact of the 3 Masters titles in doubles on his individual performance! At the height of 6’ 10”, even the atmospheric conditions may differ from we get to used to acclimate on our eye-level (perhaps Ivo Karlovic, who towered Isner by 6 inches, would have some remarkable comment to his subject). Nevertheless one thing is undeniable: Johnny’s number of years on the professional tour (12), his total prize money ( over 12 million) and his titles (12) show spooky similarity. Posteffect: This success catalyzed Johnny a few days later as he had a gigantic 4 hours fight versus Nadal in the first round of French Open. 2016 – Shanghai Masters: with Jack Sock as a partner, they overwhelmed the title contender Kontinen-Peers in the men’s doubles final. Posteffect: In the next tournament, at Paris Masters only Andy Murray could stop and resist him in the final. 2018 – Indian Wells BNP Paribas Masters: Again with Jack Sock, they conquered Bryan brothers in two TBs. Posteffect: In Miami Open, he marched through the Youzhny-Cilic-Chung-Del Potro quartet and entered the tournament final. Considering the undeniable fact that each time his all 3 peak moments were followed by the tournament titles in doubles, was definitely not just thanks to the lucky interplay of the coincidences. Why is the truth of the above statement beyond any doubt? The reason based on Isner’s win-loss record of 2018! Before Miami, he had 2 wins and 6 defeats. Moreover, the 2 “Ws” were more than a walk in the park against Lajovic and Rado Albot! One more thing we can’t afford not to mention in analyzing his case: the advantage and the disadvantage of the home field. Yes, indeed there is an antagonistic remark since 10 of his 12 titles have been collected in the various tournaments in US. However, the other dozen times he was the one who was forced to congratulate his conqueror in the finals, and he should have done it 10 times in front of “home” crowd. Among these defeats, there are the 3 Masters finals (IW, Cincy, Paris), that he had to leave as a runner-up with empty-hand. This time he will achieve another shot for another title match (first time as husband! ), but this final should be much more than a try! April 1, 2018, Sunday will be John Robert Isner’s biggest day or an unfortunate fate (again) and the first day of his birth month is fooling him? – HIS HECK DAY!